In January of 2018, Ty Tarr of Ty’s Penn Shell came before the Meridian-Kessler Neighborhood Association concerned that Circle K, owner of the 49th & Pennsylvania property, gas and service station, were choosing to not renew his lease as of September of 2019. The notice was received March 7, 2017 – two-and-a-half years prior to the expiration of the lease. 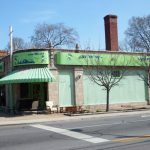 Upon receiving this news, the MKNA Board of Directors set down a path to engage with Circle K to understand their decision to not renew the lease of a long-time tenant. Circle K is a multibillion-dollar, international company with thousands of units all over the world. Locating the correct Circle K staff members to speak with took months and once contact was made, Circle K was clear with their plans to replace the service bays with an improved convenience store. Tarr was actively engaged throughout the design process. With approval from Tarr, plans were presented to the MKNA Board of Directors at the October Board Meeting for feedback and consideration. 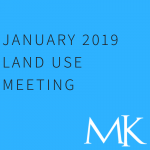 After a discussion at that public meeting, MKNA executive director Chelsea Marburger traveled to meet with Circle K Vice President of Operations for the Midwest Region to discuss the proposed options in lieu of not renewing a lease with Ty. Circle K explained that this unit was one of the last operating gas station, convenience store and mechanic shops in their portfolio, and they had moved away from this model. Data, public opinion and firsthand experiences were presented to Circle K to impress upon them not only the value of this local business but also the potential impact it leaving could have on their business and community. At the conclusion on the conversation, Circle K maintained their decision to not renew a lease with Ty’s Penn Shell. Following that meeting, MKNA began to work with Tarr on locating a property in which he could relocate his business. A variety of properties in and around Meridian-Kessler were considered while one has stood out to Tarr as a viable option. He is currently interfacing with the property owners in hopes of securing a favorable lease to allow him to move and operate his business right here in Meridian-Kessler.  The Meridian-Kessler Neighborhood Association is committed to serving the needs of our residents as well as the needs of our area businesses, both big and small. 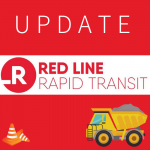 We will continue to work with Circle K to ensure this project is inclusive and representative of the needs of the neighborhood as well as work with Ty on a reasonable relocation plan.